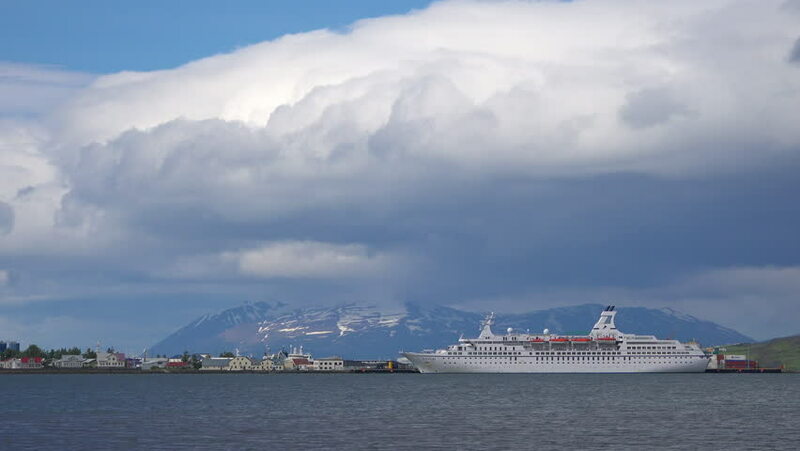 ICELAND - CIRCA 2018 - Extreme wide shot of Akureyri, Iceland with a large cruise ship in the harbor. hd00:30KLAIPEDA, LITHUANIA-AUGUST, 5, 2017. Mein Schiff 6 cruise ship and Dfds Regina seaways modern cargo passenger in Klaipeda port. Time lapse.